Secondly, in this post I’ll try to cover 3 days, quite quickly. 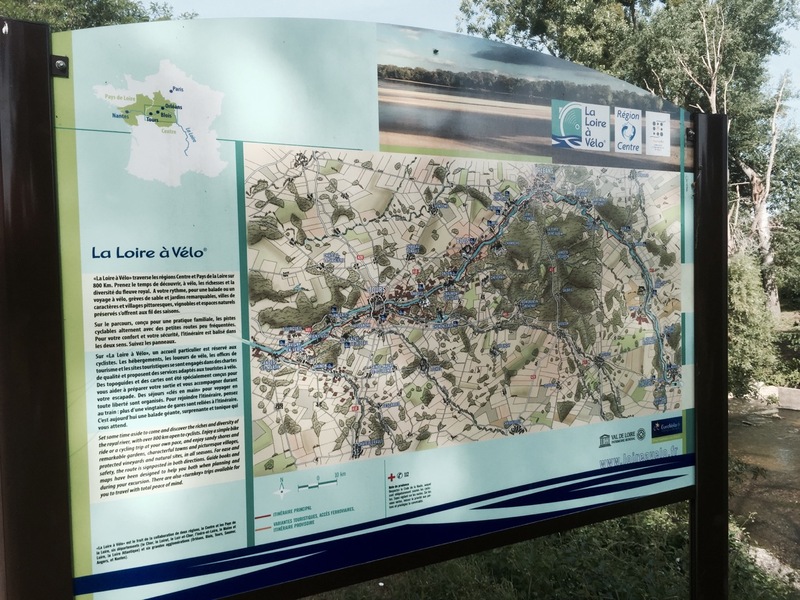 I say quickly but we’ll see how that turns out; cycling the Loire along some of the ‘Loire à Vélo’ trail is another highlight of the tour. Here are my routes and stats from the last 3 days. Also, I passed the 3,000 miles since Nordkapp today; about 4,880km, averaging 102km a day including rest days which I’m pretty chuffed about. I’ll do another vital statistics post at some point, maybe tomorrow; more punctures to add to the tally! 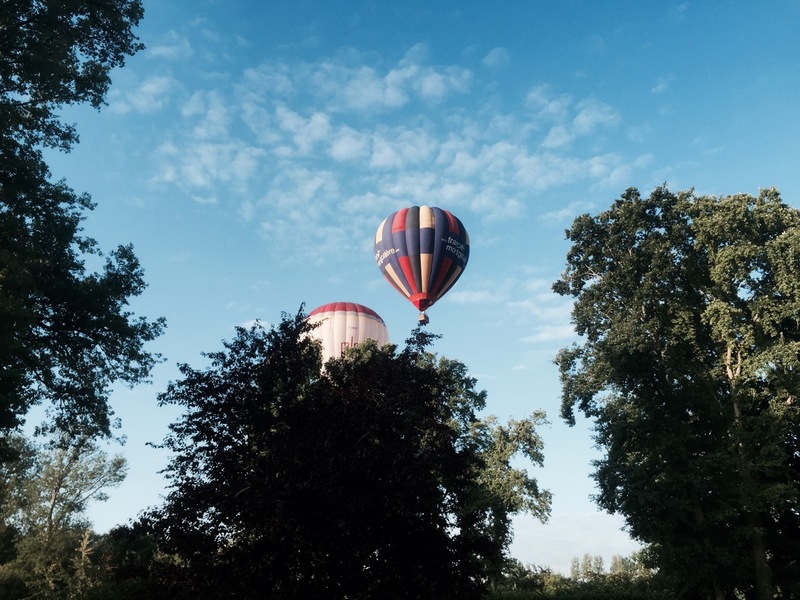 I was awoken by a roaring sound, which I kinda recognised, but needed to get out of my tent to check; hot air balloons going overhead in the morning sunshine. Once the balloons turned their burners off it all looked and sounded very tranquil. I gave them a wave and got on with breakfast, then packing up (evicting more ants), and saying hello to even more climbers who’d turned up during the night; there was some audacious trampolining going on, as well as some tight-rope walking attempts which appears to be the new ‘thing’ to do. 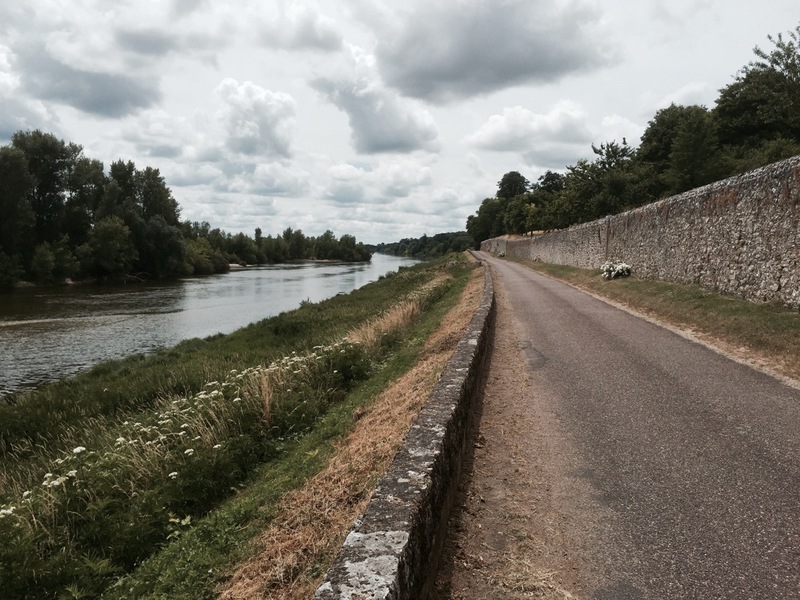 It was easy riding pedalling South to Montargis, aside from one cobbly bit. I stopped for some lunch at a boulangerie just outside the town, consuming a couple of fine goats cheese tarts and a chocolate roule; French boulangeries really do compliment cycle touring perfectly, and have cut down on my visits to fast food establishments! I joined a canal path for the ride down to Coudroy, which was a bit off-road but very pleasant chilled out cycling. For the first time on this tour I listened to some music whilst riding; the soundtrack to the Buffy the Vampire Slayer musical episode followed by some Bellowhead and Greenday. I didn’t have my earphones in, just quietly played it through my phone which was being charged by my dynamo, worked really well and no-one else around to annoy. As well as a family of swans, I pedalled past some ducklings and their parents, and added a new bird to my ‘spot it jot it’ list, a Black Woodpecker which I’ve never seen before, and pretty amazing with its red crest; too quick to photo though. For some reason I’d been feeling a little down, however the ride really perked me up, and listening to music or singing always helps. After the canal path I rejoined roads down to Chateauneuf-sur-Loire, and the Maltournee campsite on the southern side of the Loire. 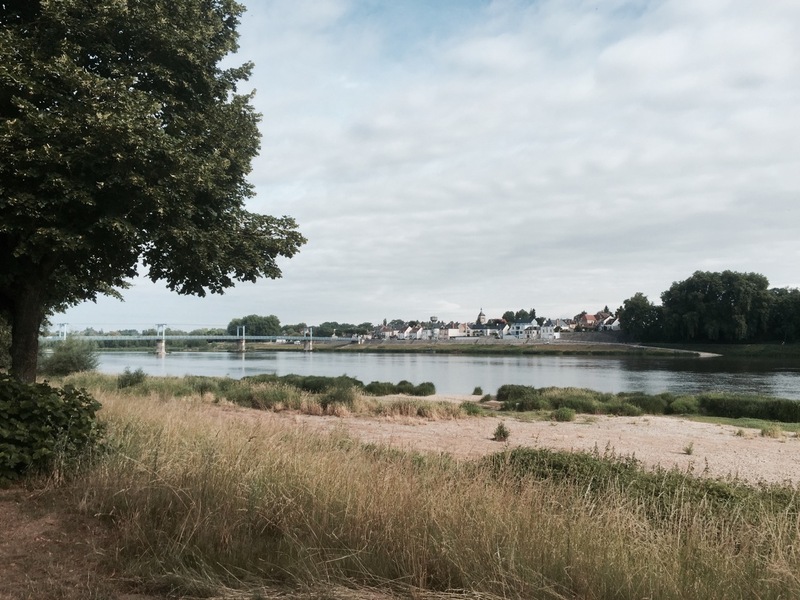 The campsite proved pretty average, and I couldn’t connect to the Wifi which was annoying, but no-one else could either, however Chateauneuf-sur-Loire was excellent and it was great to finally be on the Loire. After setting up I headed into town and discovered there was a music festival on, with bands located on the streets which had all been closed for the evening. Although a day early this was to celebrate midsummer, and throughout France there are similar music festivals happening today and tomorrow. After meandering through the town listening to various bands, all pretty different it has to be said, I stopped at a restaurant and sat outside having a pizza, listening to a two-man act – guitar and jambee, who were very good. I think the band were called Sadyra, with a Senegalese influence; I loved the acoustic guitar, drum, and impro nature of the music. The crowd all joined in for various bits as well, with a few people taking up a jambee on occasion; I was too focussed on my Calzone pizza and wine to participate overly. The street bands finished about 20.00, whereupon the main act kicked off in the central marketplace. They were a 6 piece act complete with accordion, trombone, trumpet and guitars, creating a great atmosphere for the next couple of hours. I filmed a bit of it but still haven’t quite worked out if I can insert a movie into a blog post without having to link to Youtube. I headed back to the campsite feeling pretty relaxed and happy; the Rose probably helped but the atmosphere and music definitely put me in a good state of mind. I was ready for tomorrow’s ride down to Orleans, and then on to Tours alongside the Loire. I covered about 96km today, in 5hrs and 45 mins, accompanied by the sound of crickets for a lot of it, which I’ve realised has recently become a permanent feature in the countryside. It appears doing quick posts isn’t easy; I’m too verbose for my own good, however I’m enjoying writing this in my tent with a cold beer, listening to what’s either light drizzle or insects hitting the canvas. I think it’s insects, which reminds me of the midges in Scotland, however there was a small shower earlier which was refreshing post a very hot day’s ride. The night had been muggy however it was a cooler morning to wake up to, and slightly overcast which was nice. Unfortunately there’d been no rain to dampen down the pollen count and dust. I could also do with a shower to give my tent a wash; the outside has got a bit sticky from camping under trees – sap and aphid residue I think. Trees do provide welcome shade though so that isn’t going to change. 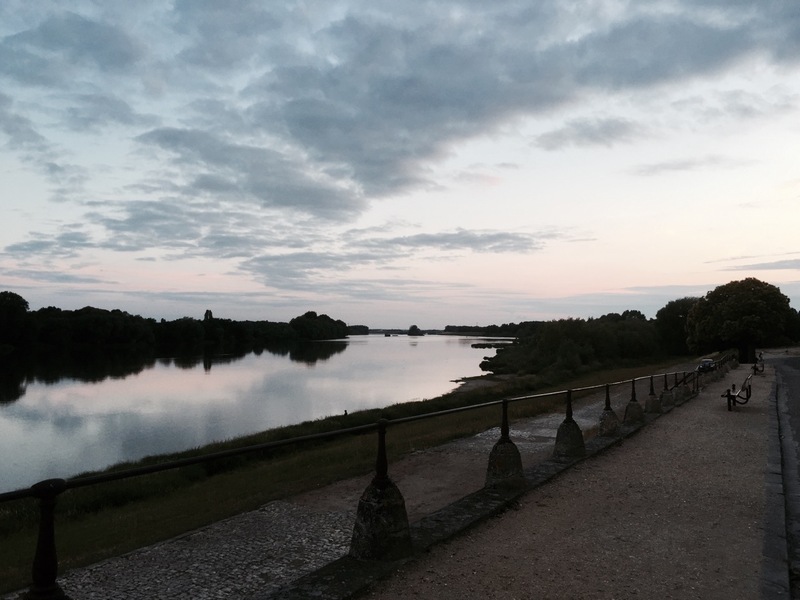 After a good evening in Chateauneuf-sur-Loire I was enthusiastic about the ride along the Loire towards Orleans and Blois. Unfortunately I’d forgotten to buy any breakfast so had to make do with a banana, cheese, and some biscuits; not actually too bad considering, however I need to get better at shopping. I was on the road by 09.00, and spent most of the day on cycle paths, or small roads shared between bikes and the occasional car. Heading South West it was easy riding, it being mostly flat. The only annoyance was the number of small flies swarming about. They weren’t midges, but were a similar size, and got everywhere. My arms and legs ended up covered in them as I cycled along, and I’m sure I inhaled more than a few; dunno if that counts as valid protein intake? It wasn’t long before I reached Orleans, where I decided to take a look at the Cathedral rather than cycle straight past. I also had an ulterior motive; second breakfast. I found a good boulangerie doing 4 pain-au-chocolat for the price of 3, and tucked in. Lobster was more impressed with this than the cathedral, however I liked Orleans, and would return for another look around; this tour is a bit like a scouting trip finding cool places to come back to really. I did have to dodge the tram lines, and actual trams a bit, but made it safely out of the city. From Orleans I continued on through the countryside next to the Loire. The route encompassed a lot of farmland which was a bit monotonous, but also small towns with markets going on, the occasional cafe, lots of people fishing, and a power station just to make things different. I passed a lot of cycle tourers as well as day cyclists going both ways along the Loire à Vélo route today, the trail along France’s Royal River being extremely popular; I think it’s over 800km all the way to Nantes. 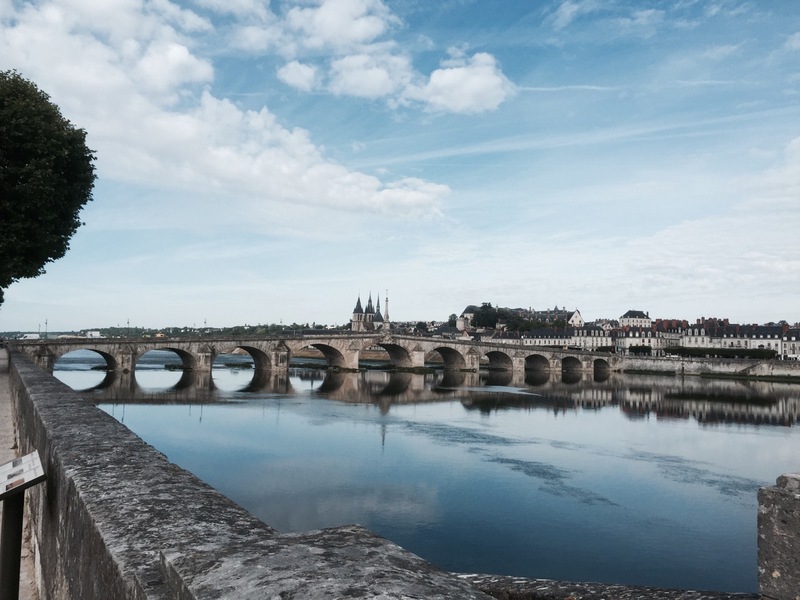 Just before Blois, which I’d decided was far enough for one day, I met up with Ben and Alex who were on the first day of their tour along the Loire, having started in Orleans. 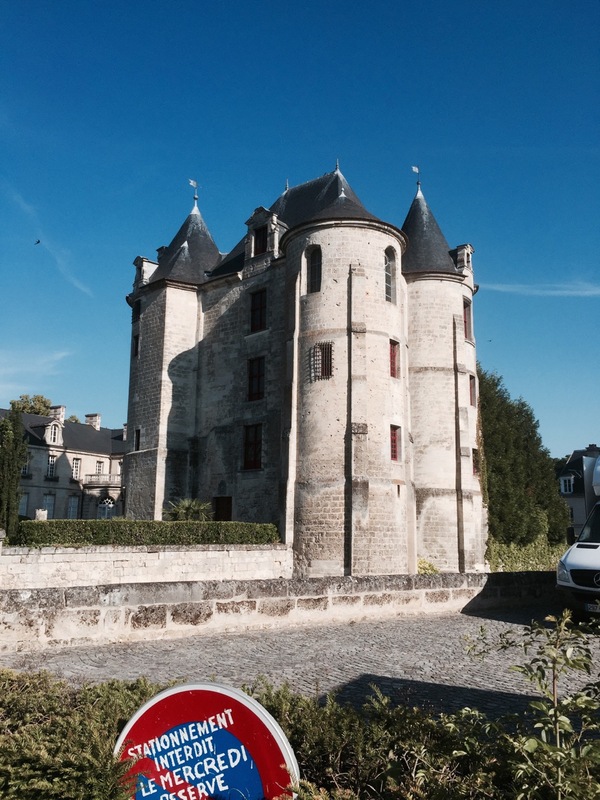 We ended up staying at the same campsite South of the river in Blois; Val du Blois. It was good to meet up with a couple of Brits, and the campsite was swarming with cycle tourers from all over the place; French, German, American, to name but a few nationalities. After setting up, plus an icecream, and realising the wi-fi was once again crap, we headed into Blois for some food, and discovered another ‘Fete Musique’ celebrating midsummer. There were bands situated all through the town, in a similar fashion to Chateauneuf-sur-Loire but on a bigger scale. One metal band was enjoying their moment in the limelight, scaring the locals slightly, however there were a few stalwart metal fans flinging their hair about. 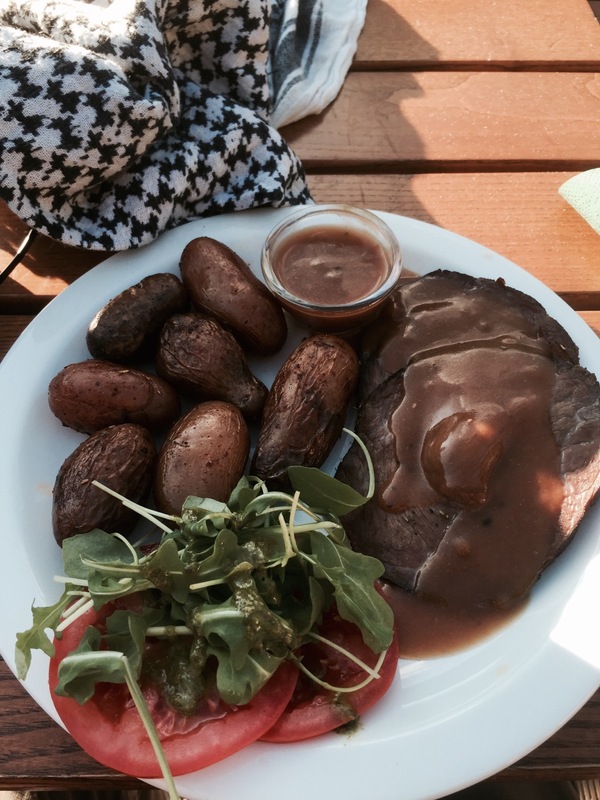 The steak dinner I had, whilst not particularly in budget, was very fine, and I reckon necessary to ensure a balanced diet that will enhance my cycling ability. Blois is another picturesque town on the Loire, one of many, and good for a visit. After dinner and a wander about we headed back to the campsite before it got dark. It was good to chill out for a bit before cycling on to Tours and then South towards Poitiers tomorrow. I covered 98km in 5hrs and 38 mins today. 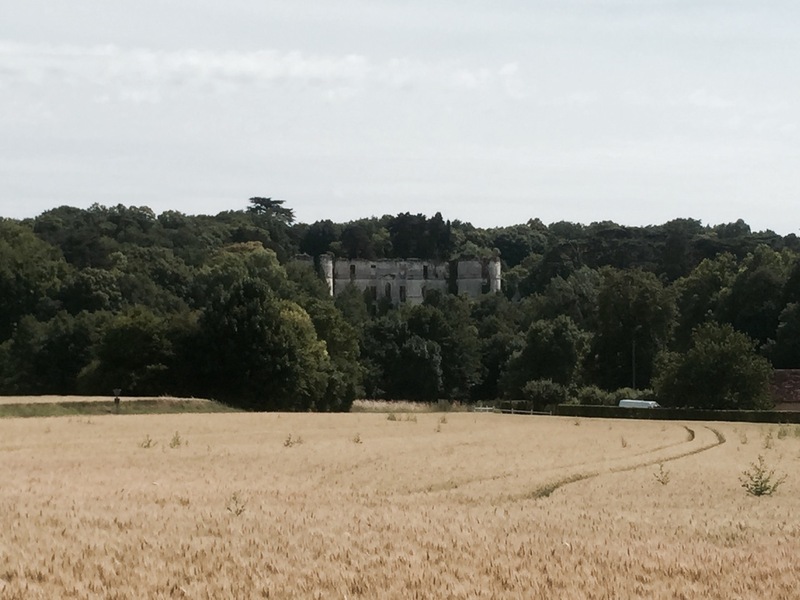 Today was a bit of a longer ride; 114km in 6hrs and 40 mins, taking me down to a campsite innate grounds of a Chateau. I’m always slightly surprised when I’m up in good time, not really being a morning person, and ready to start pedalling before 09.00. This turned out to be one of those days, and I think I need to adjust to earlier starts as it gets hotter; start early, have a longer lunch break, then a short ride in the afternoon. It’s probably easier to be a morning person when you don’t have to go to work. Ben and Alex hadn’t quite surfaced by the time I left, so I left them a good luck note and got underway; good luck guys, hope the wheel issue is fixed, and the rest of the tour goes well. I followed the Loire past Blois, as the Loire a Velo route took me South West, occasionally turning away from the river through small villages; this ended up adding on quite a few kilometres to the day’s ride, however it was much better being off the roads, and nice saying hello to other cyclists. 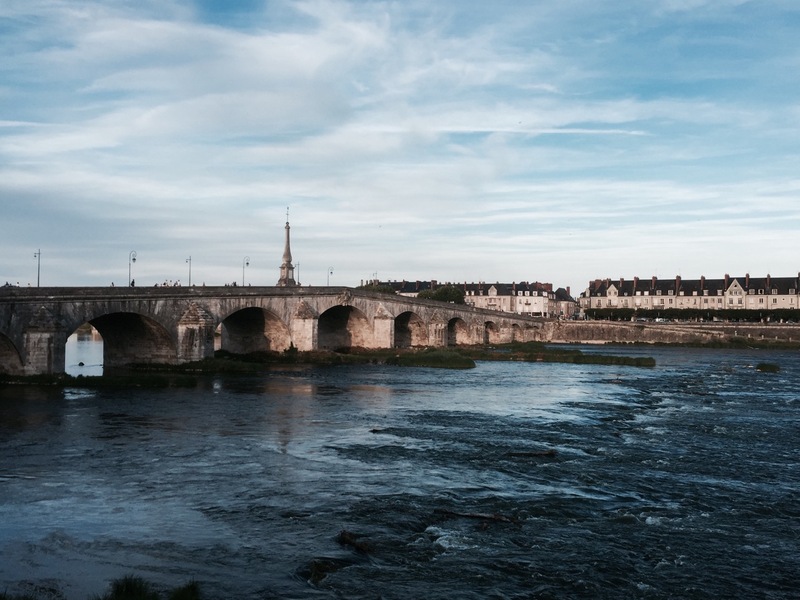 I passed through Chaumont, and continued on the road to Amboise. Amboise had been another possibility for a campsite, however I was glad I hadn’t pressed on yesterday, as it would have taken me at least another 2 hours to get there, probably more on tired legs. It was pretty full of tourists, and I could see why with a picturesque chateau, and the home of Leonardo da Vinci; Clos Luce. It was once home to the French Court too, and I think it was King Francis that invited Leonardo to live here. After Amboise it was on to Tours, where I turned away from the Loire to head South, following the EuroVelo 3 route; I haven’t seen a sign of EV3 for a long time, but think I’m going roughly the right way. I paused in the city to visit the Cathedral, which was on route and nice and cool. I like old buildings like castles, cathedrals and churches. The latter two are often quiet and peaceful, and offer a moment of quiet contemplation away from an otherwise hectic day, in the same way a tranquil spot in a forest does. Tours Cathedral, as well as being nice and cool after being out in the sunshine, was pretty impressive. It was built in the 12th century, and they needed to knock down some of the old Roman walls to fit it in. I headed South from Tours, and it got hotter, which combined with a bit of a headwind could have led to dehydration. I drank all three of my water bottles and a cold can of pop, and am contemplating adding a 4th water bottle to my array, just in case. This is all good acclimatisation for Spain and Morocco, where it’ll be hotter. It’ll be manageable as long as I drink enough and don’t get sunstroke; been wearing a bandana or my lightweight buff, both of which keep the sun off my head, and I can soak them in water when I pass a clean source, which is very pleasant. Eventually I made it to Trogues, after some dusty riding whilst navigating my way through a bit of a maze of country roads. I arrived at the campsite, based in the grounds of Chateau Rolandiere, about 17.00, hoping they had the snack bar/restaurant as advertised on the ACSI app; sadly they didn’t meaning I had to get a bit creative on the dinner front. The bar was open though, so I had a nice cold Grimbergen beer as a recovery drink. The campsite owners were very friendly and helpful, providing me with chair to sit on next to my tent, and complimenting me on my French which I think might be getting better; good to practice lots anyway. I guess I’d better start learning a few phrases from the Spanish book I brought with me! 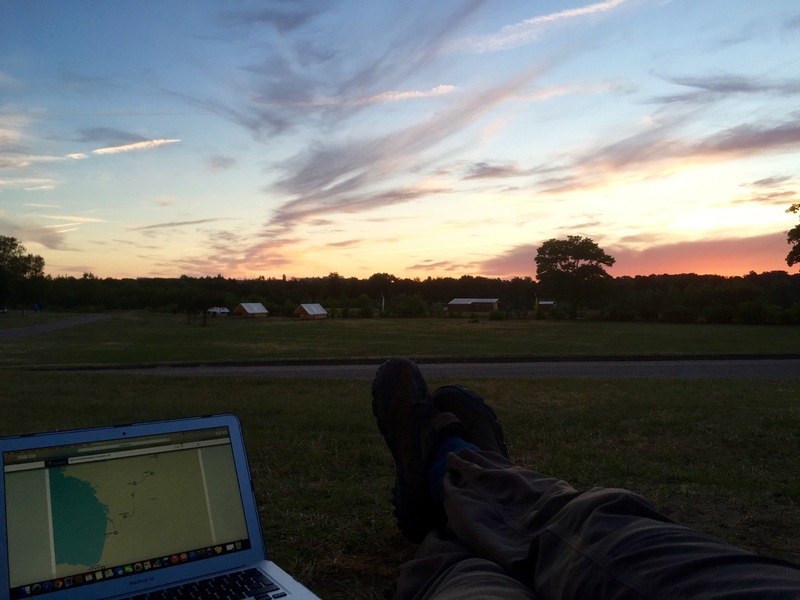 The Chateau Rolandiere campsite was a peaceful destination for the night, and allowed me to catch up on my blog a bit. It also rained slightly which cooled things down and meant I slept very well. Tomorrow it’s on to Poitiers and beyond. –> Okay, so that wasn’t that quick a blog post, but to does cover 3 days, and means I’ve only got today to write to be up-to-date now! 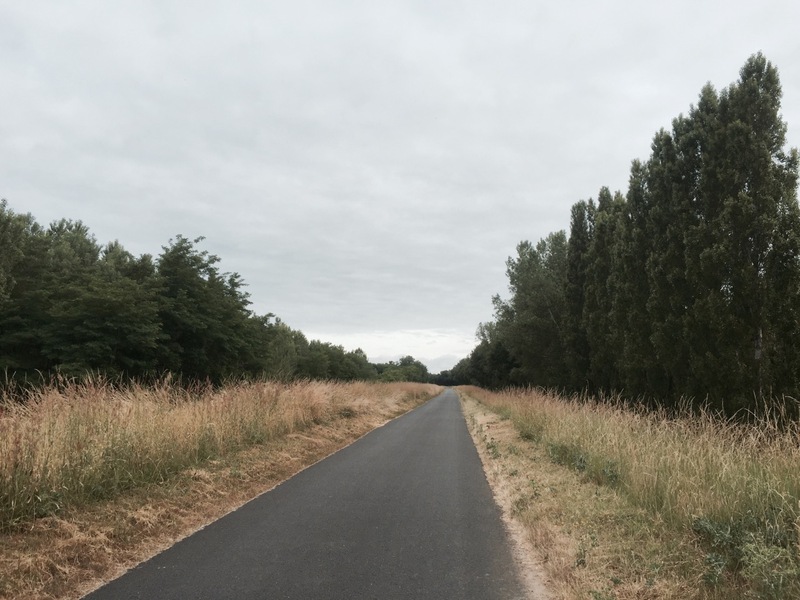 This entry was posted in France, Self Propelled 2015 and tagged Adventure, Bicycle Touring, Bike, Charity, Countryside, Cycle Touring, Europe, Expedition, France, Grez-sur-Loing, Loire, Loire a Velo, photos, Self Propelled 2015 on June 23, 2015 by SelfPropelled. Whilst France is great, I’m not having much luck getting decent Wifi, so am a bit behind with my blog posts…I know…shocker…at least I’m not as behind as I was on my Bike around Britain tour, and will hopefully catch up with some ‘brief’ posts tonight. 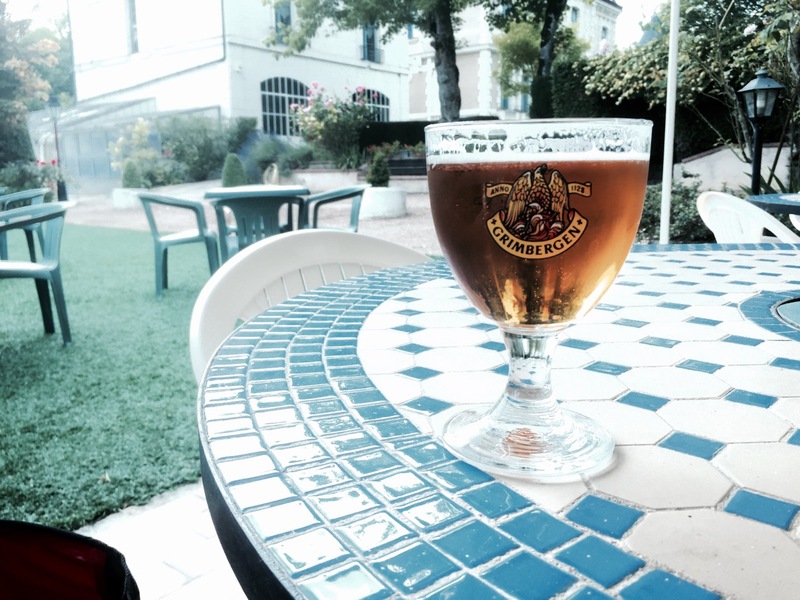 Here’s one about my rest day in Grez-sur-Loing, a lovely place for a stop. So what to do with a day off? It’s been a while since I had one and I’d got to the point where I felt like I needed some time to relax, to recharge mentally if not physically. Ian, a friend who joined me for a few days on my Bike around Britain tour, had recommended this place and it was certainly a chilled out venue for some downtime. There are however always chores to do, so I started the day with some washing, then had a snooze whilst reading Alice in Wonderland, which could have led to some weird dreams, then hung my washing up and thought I’d better do something. Ian had suggested a climbing area called ‘Elephant’, that isn’t to far from Grez, down near Larchant, and offers lots of bouldering opportunities; this was convenient since I ‘stupidly’ hadn’t thought to lug all my heavy climbing gear with from the UK. So Lobster and I headed off in search of Elephants. We found some gorgeous forest first, very tranquil. Pushing on a bit further we discovered the famed ‘Elephant’ bouldering area, and I spent a couple of hours trying to remember how to climb, without hurting myself. Several years ago, and the last time I did any serious climbing, I fell off from about 2 foot up, breaking my elbow and dislocating my kneecap; apparently I turned an interesting shade of green. I’m all mended now, however I my elbow can tell when a storm is brewing – it aches. Having looked around a bit, we found the Elephant itself. I climbed up a rock and sat in the sunshine for a bit; relaxing in a forest is a good way to spend a day off, and very therapeutic. Post elephant I cycled back to Grez-sur-Loing, via Larchant, with slightly aching arms. I was however quite pleased that my wonky hand hadn’t impeded any climbing activity; still a bit wonky due to all this cycling though. Back at the campsite I did some bike maintenance, which mainly involved tweaking my gears; front shifter needed realigning slightly after chain and rear cassette change. As the evening progressed and I caught up on blogging and route planning, more and more people arrived for the weekend; mostly climbers by the looks of it. I spoke to a few who come here fairly regularly, just because the area is so good for climbing and getting away from it all, and it’s not far from Paris, with a great little campsite that doesn’t cost an arm and a leg. 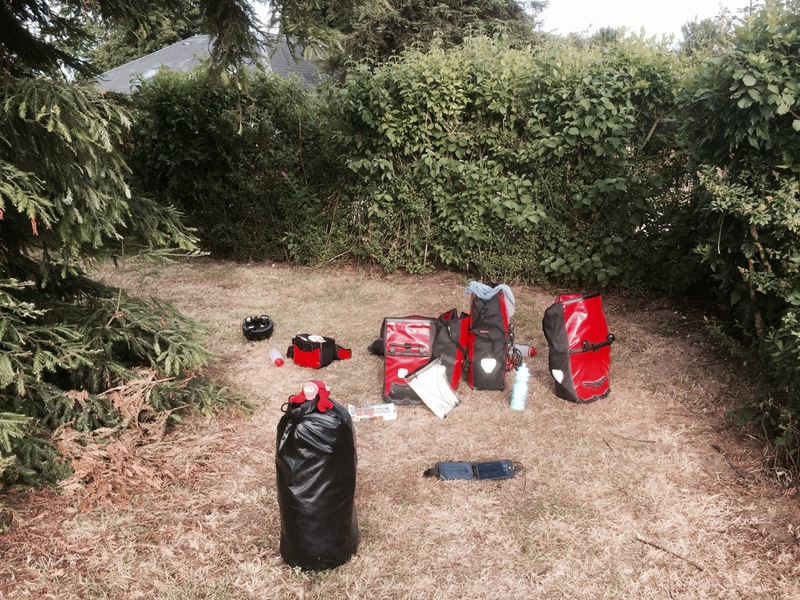 All ready to get back on the road down to the Loire region, I hit the sack, after evicting quite a lot of ants from my tent again; varmint holes providing entry points, which I must gaffer tape up again. 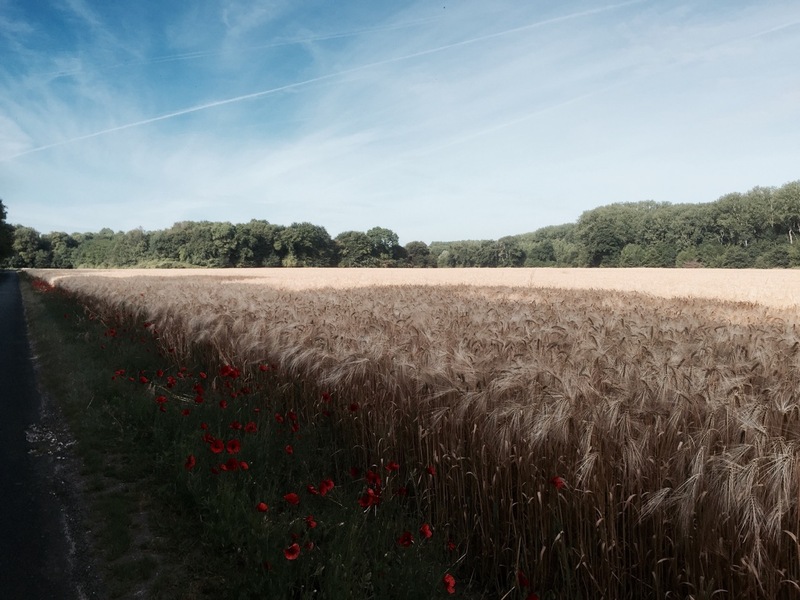 This entry was posted in France, Self Propelled 2015 and tagged Adventure, Bicycle Touring, Bike, Charity, Climbing, Countryside, Cycle Touring, Europe, Expedition, France, Grez-sur-Loing, photos, Self Propelled 2015 on June 22, 2015 by SelfPropelled. 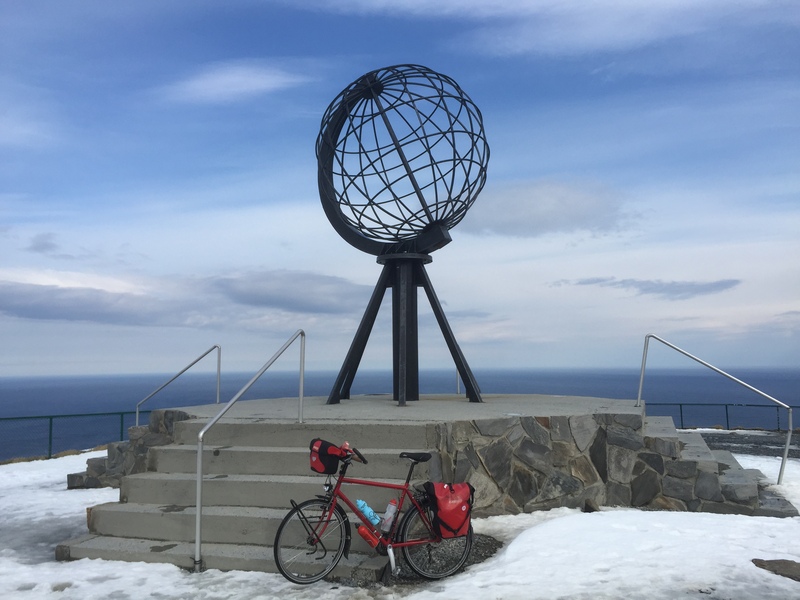 Scandinavia and Nordkapp seem like quite a long time ago now, but they aren’t really, it just appears that way when you’re filling each day with new sights, sounds and experiences, and lots of pedalling. If I’d been at work for a month and a half instead I’m sure I find it difficult to distinguish one day from the next; on balance this is much better, however one does of course fund the other! Here are my routes and stats for the 17 & 18 June, which took me to Paris and then on to a little town and campsite South of Fontainebleau, where I’m having a day off; very pleasant it is too. Today was mostly about getting to Paris, where I thought I might spend a couple of days, however I changed my plans once I got there; great place to visit but expensive and noisy. I covered 123km in about 8 hours, so a long day, but worth it. I left Vic-sur-Aisne pretty early, riding up to Attichy and Berneuit-sur-Aisne thinking about how the area must have looked and felt during both World Wars, when it was on the front line; there are lots of cemeteries and markers that testify to this. I could have headed up to Compiègne, or to the nearby Armistice site, however I decided to cut through the forest to Pierrefonds instead. The Armistice site has a duplicate of the railway carriage – Ferdinand Foch’s railway carriage – used in World War 1 to sign the agreement bringing an end to hostilities. The same carriage was used in World War 2 when Germany forced France to surrender; Hitler brought the carriage from Paris especially, to humiliate the French, then took it to Berlin to display before it was destroyed by the SS in 1945. But I skipped all that, as thoughts of the War were leaving me feeling a bit chilly. Riding through the Compiègne Forest was much more pleasant, and then I turned a corner and saw the Chateau in Pierrefonds, which is just like something out of a Disney movie; I think it might have inspired the Disney Castles you see. Pierrefonds Chateau is truly magnificent, and the surrounding town very picturesque. 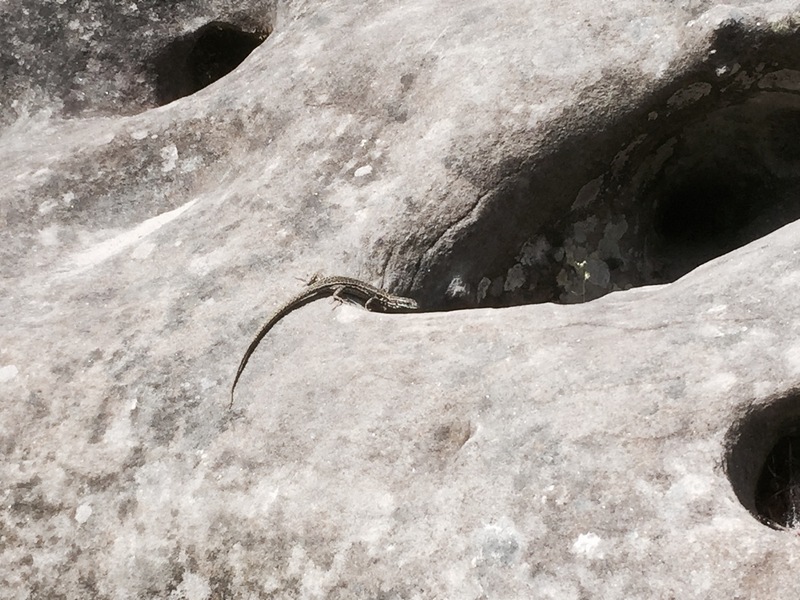 It was however quite tricky getting a good photo of it due to the sun being in the wrong place. Leaving the town involved a steep climb, followed by more ups and downs as a made my way through the forest and out into open farmland. It was very pleasant riding even if I was burning a lot of calories in getting anywhere; I passed several other cyclists out enjoying the shaded lanes and lovely scenery. As I cycled slowly over the bumpy cobbles in Orrouy a Belgium tourer with fat tyres caught me up; he was having an easier time with the terrain. We had a quick chat and cycled together for a short while, before he turned off towards a campsite on the outskirts of Paris – probably better move than one in the middle of Paris but we live and learn. My map ran out on the outskirts of Paris, before getting to the suburbs, so I was reliant on my Garmin to successfully penetrate the city’s outer arrondissements, and get to the centre. It was no easy task, with a lot of twists and turns, and pretty slow due to all the traffic and traffic lights. I was also feeling pretty tired, both physically and mentally, after a few days hard riding and the hot weather, and had to step up my alertness a few levels due to the crazy Parisian driving tactics; they don’t give you much space, are fast and pretty aggressive. I managed to get on cycle paths for some of it, Greenways I think, but not sure if any of it was the actual Avenue Verte; London to Paris route. I shared one section with a few rats out routling about for food; good to see them cleaning up after us humans. 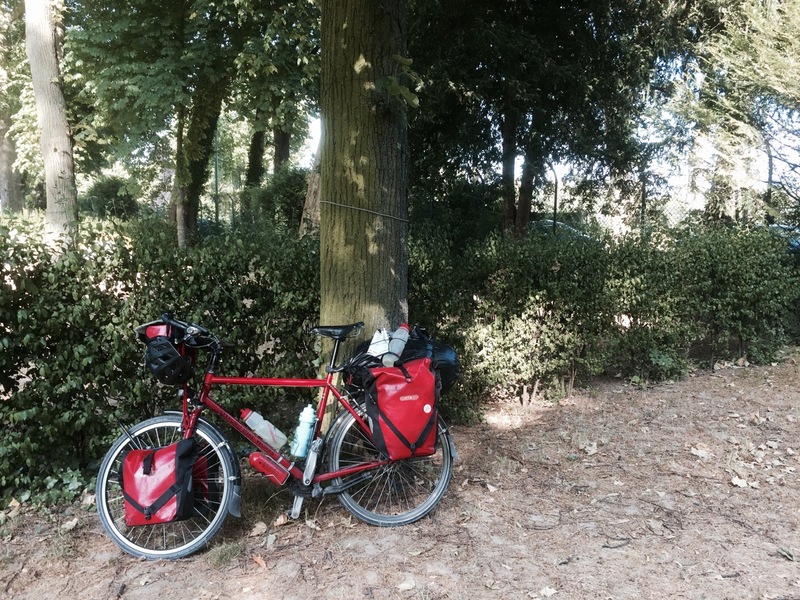 I made it to the centre and slowly walked/cycled through to my campsite in the Bois du Boulogne, a story best told through pictures. 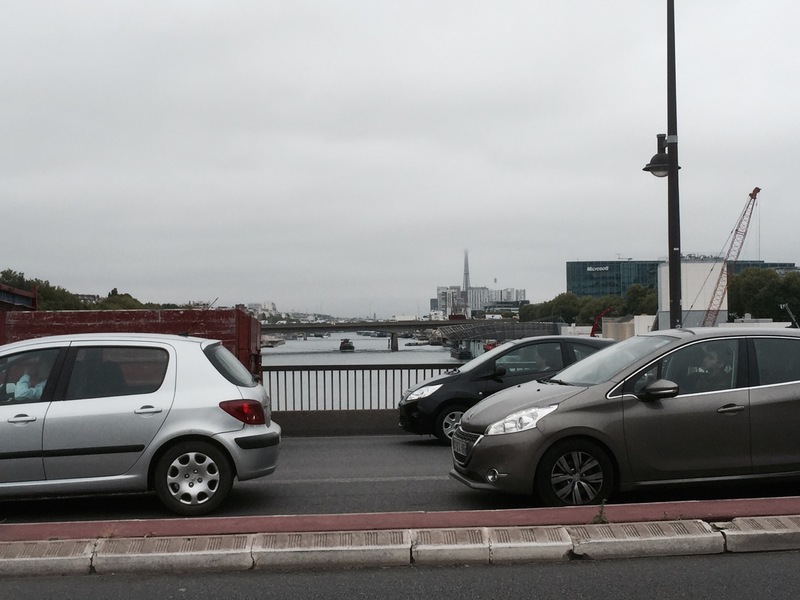 Needless to say Paris was as impressive as ever, with stunning architecture, wide boulevards, and a great atmosphere. It is strange to think the last time I was here was with Lucy several years ago. Riding up Les Champs-Élysées dodging buses, taxis and cycle taxis, all the way to the Arc de Triomphe, is an experience I’ll never forget; it was great to reach this iconic landmark in the centre of Paris. I spent quite a lot of time dodging people taking photos and selfies too – I wonder if they actually take the time to take in what they’re seeing; the street traders selling selfie sticks were doing well in any case. After a long, hot, and dusty day I finally made it to my campsite in le Bois du Boulogne, the latter being slightly tricky to navigate through, and I did nearly go the wrong way down a one-way cycle path with pelotons coming the other way, which could have proved disastrous! The campsite was expensive at €17, very noisy being next to main roads, and getting tent pegs in proved challenging to say the least, but I’d not expected anything less of somewhere in the middle off Paris. It has good facilities, as well as a restaurant, bar and snack van, although I couldn’t get the wifi to work. I enjoyed a ‘Rosbif’ dinner from the snack van, as well as a cold beer, and slept well despite the rock hard ground and noise from traffic. I decided to head straight for Fontainebleau the next day; Paris was just too busy and expensive, although I want to come back without my bike for visit, to go round the catacombs and a few other bits I haven’t seen before; perhaps a visit to La Moulin Rouge! 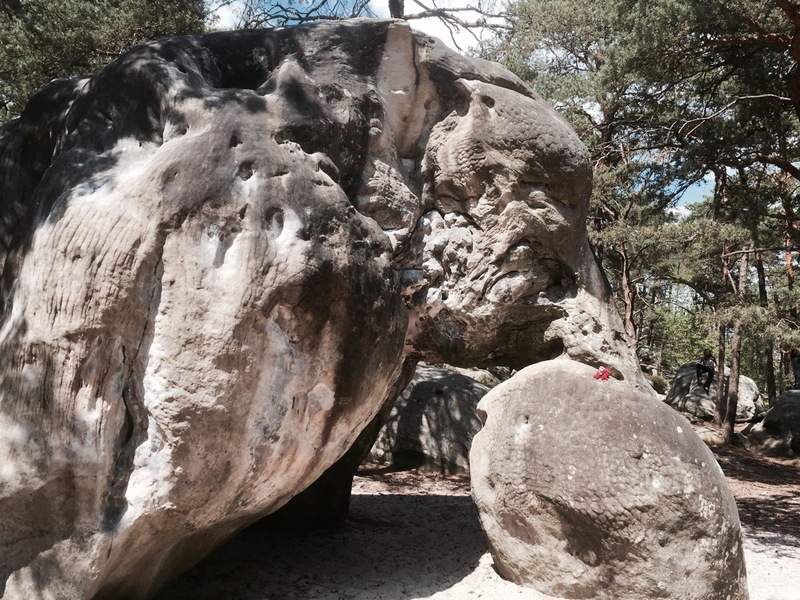 I was up early and on the road by 8 o’clock, keen to get down to South of Fontainebleau for a rest. I realised I was pretty tired as was finding it harder to speak French than a couple of days ago, so definitely time for a pause. Still covered about 100km, but it was slow going, especially getting out of Paris. If Charleroi had been a akin to Mordor, then Paris is more like Minas Tirith, however I can’t help feeling it’s a bit under siege from the surrounding arrondissements, not all of which feel that friendly. It was a struggle to reach the outer limits, and took ages to finally reach countryside again. It didn’t help that it was a grey and drizzly day, however it was quite nice to be out of the sun for a bit. I pedalled alongside the Seine for a bit, and generally followed it South to Fontainebleau, through lots of towns and villages, including Melun, where I think there must be a prison on an island in the middle of the town. Fontainebleau proved to be a useful town; I reached it in good time, having started early, and checked Smaug into ‘A La Petite Reine’ for a service, as well as a replacement chain and rear cassette. I’d emailed the shop from Paris and they proved helpful, good value, and efficient; cost me about €75 for a new chain and cassette, as well as new rear brake pads, and the mechanic threw in a replacement part that I can fit to probably mend by bike stand. I just need a Allen key I don’t have with me to do so, however my parents are visiting in a couple of weeks so – Dad, will be in touch ref what tools to bring! Whilst my bike was being serviced I had a wander around Fontainebleau, had a 12 inch Subway sandwich, followed by a Tuna baguette from a boulangerie, and a pain-au-chocolat for good measure. I also picked up a Michelin map for central France so don’t have to completely rely on my Garmin, which is a relief; I prefer paper maps, far more interesting. It’s a relief to have a new chain and rear cassette fitted, as the old chain was starting to slip, and whilst I could fix a broken link it’s a messy job. I don’t think I’ll need to get them replaced again until I’m on my way back from Istanbul, and perhaps not until the UK, however I’ll need new tyres before then so might get everything done at once. The chain and cassette did over 3,000 miles which I don’t think is bad, however I’d be interested to hear opinions on how often you should change chains, cassettes, and the front chain ring for that matter, and also on how often people clean their chain, and how they do it, whilst on tour? I’m pretty amateurish when it comes to bike mechanics so advice is always appreciated. It was only a short ride down from Fontainebleau to Grez-sur-Loing, and my campsite for a couple of nights; Camping Les Pres. It did however start rain quite hard, and that coupled with the spray from passing traffic left me quite damp. By the time I reached Grez the sun had come out again, and I dried off quickly. The small town proved lovely, and has in the past been a place frequented by many artists. It has narrow streets, some cobbled, pretty architecture, a great small shop and boulangerie. In short I could probably spend at least a week here exploring, and doing some climbing in the surrounding area; loads of people come here for the outdoor activity, especially climbing. Les Pres camping is also a brilliant place to stay; fairly basic, but that’s fine, and only cost me €12 for two nights, which makes up for the wifi being expensive. I’ll write about my day off in Grez-sur-Loing, and doing a bit of bouldering on an elephant tomorrow, however for now I’d better figure out where I’m going next; towards Orleans I think. I’ve also downloaded eBooks reader on my phone, as I’ve been missing a good book; been working my way through Alice in Wonderland as it was on 50p, and been ages since I read it. Might revisit LOTR next, so be warned; they’ll be more analogies with the landscape of Middle Earth. Thinking about it the area surrounding Fontainebleau is a bit like the Shire, without those pesky hobbits. A demain tout-le-monde. 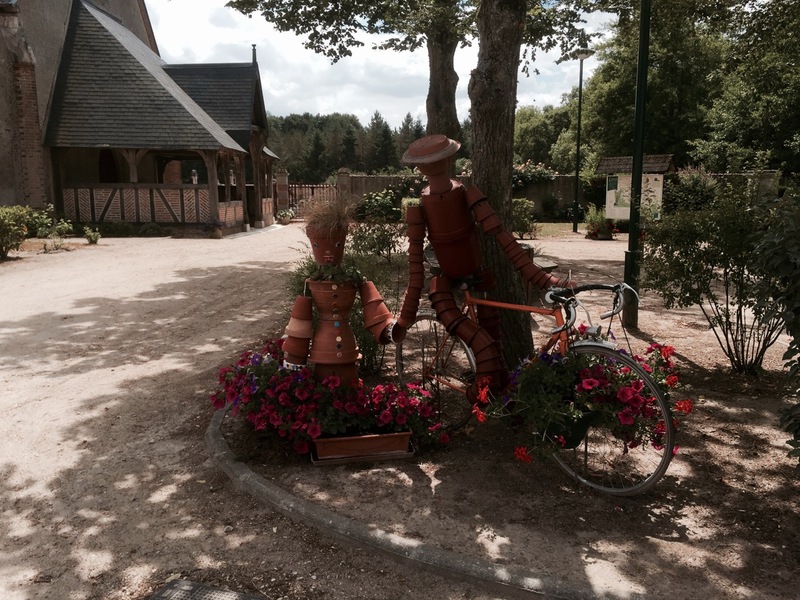 This entry was posted in France, Self Propelled 2015 and tagged Adventure, Bicycle Touring, Bike, Charity, Countryside, Cycle Touring, Europe, Expedition, Fontainebleau, France, Grez-sur-Loing, Nordkapp, Paris, photos, Self Propelled 2015 on June 19, 2015 by SelfPropelled.